One of the main problems in today's world of media is that 99.9% just react on impulse. The result is very often that instead of bringing people useful information, we end up just wasting people's time, or worse, leading people to believe something that simply isn't true. In the analytics world we call this correlation versus causation. But it's just a simple principle that whenever something happens, your first impulse is to take a step back and ask yourself: "What is really going on here?" Apart from getting a ton of Retweets by people who were just reacting to this fake news, Wall Street apparently noticed it too. 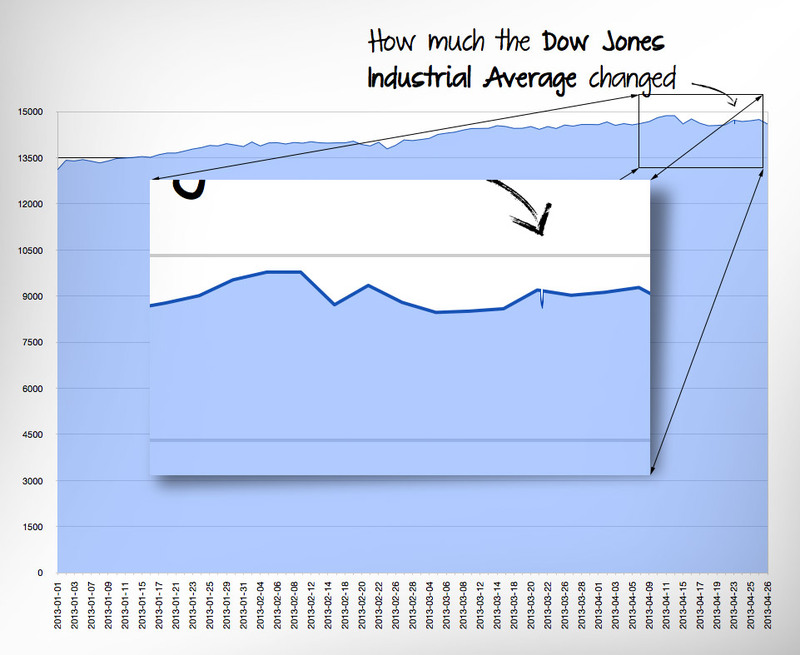 Because within seconds, the Dow Jones Industrial Index dropped as automated systems started selling shares in US companies. The combination of the fake tweet and the knee-jerk reaction reaction on Wall Street caused the press (new and old) to start spewing out their pageview optimized stories, telling us how one tweet could destroy our economy. A single fake tweet from the Associated Press account that briefly roiled financial markets on Tuesday, driving the Dow Jones industrial average down about 145 points, vividly reaffirmed the fearsome, near-instantaneous power of the 140-character message. Hacker communities were celebrating, telling us much of an impact they can really have. 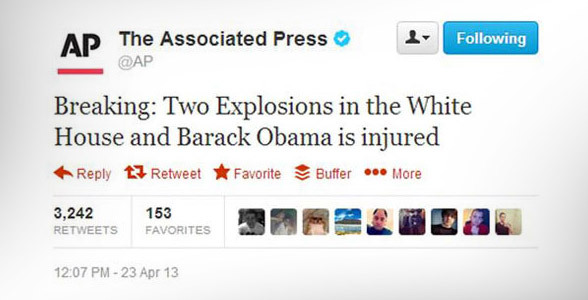 And traditional newspapers used this incident to point out that old media, like the AP, is still important. Not to mention all the articles blaming Twitter and social media in general, in the usual technopanic way. 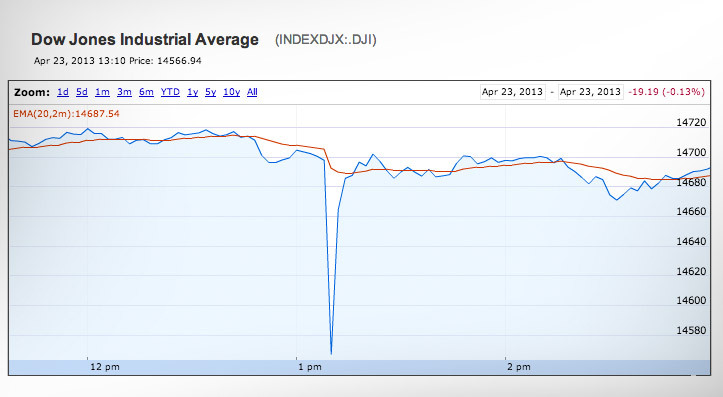 Okay, I agree that it's interesting that the Dow Jones could drop because of a single tweet. But let's take a step back and really look at what this is. Let me start with how fast the market reacted. The duration of this drop, from the time it started dropping, to the time it had recovered, only lasted 7 minutes. That was it. So... no, one hacked tweet cannot destroy our economy (sorry hackers). This is the connected world. Sure, someone can send out a fake tweet, but it will be caught and corrected just as quickly. There is no lasting effect here. And as a result, the economy was never in danger. Sure, a few traders probably lost a bit of money. But who really cares about that? At the most, this is relevant as an article about the problem with automated trading systems, but those stories are only relevant to be published in the financial press, not in mainstream media. Stocks ended a volatile day with strong gains Tuesday after taking a sharp nosedive in midday trading, following a false Twitter post of two explosions in the White House. But this graph is highly misleading. They are not taking a step back. There is no danger here. Nor any cause for a technopanic. Hackers can't control our economy via a tweet. The market didn't really quaver. 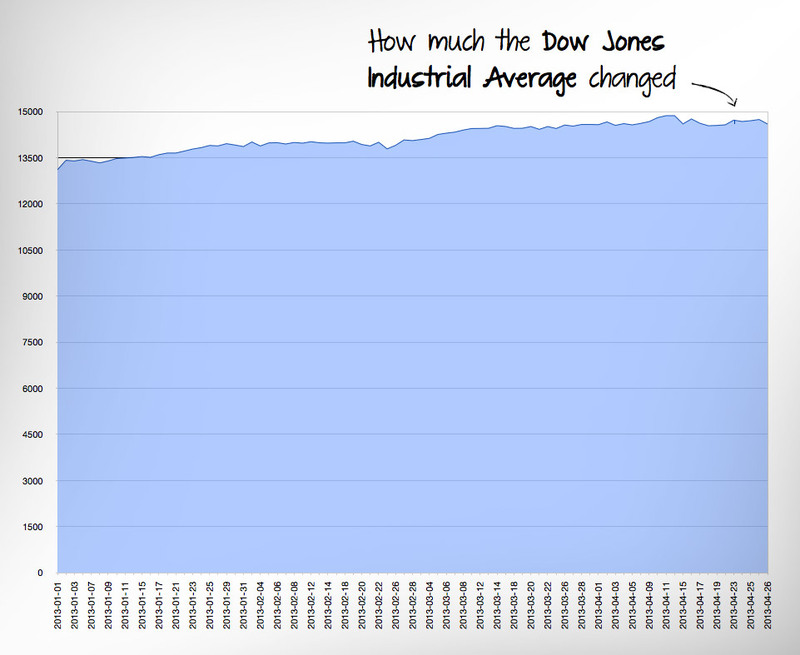 It didn't rocket the stock market. Nor did it send the Dow Jones plunging. This is a non-story. Nothing really happened here from the perspective of the public. In fact, this incident was so insignificant that it didn't even register on the daily averages. At the most, this is relevant as an article about the problem with automated trading systems, but those stories are only relevant to be published in the financial press. This is the kind the story that we get when people just react to news without thinking. So far we can find more than 10,000+ articles about this on Google News, and most of these articles are just knee-jerk reactions causing completely unnecessary panic for the public. Is there a problem with how Wall Street works? Oh yes, a big problem! Is this caused by automated trading systems and fake tweets? No, that's not the problem at all. We hear about these dangers all the time. But the reality is that for anything to ruin the economy, you first have to have a lasting effect, and automated systems and tweets are expressly designed for short term reactions. There is no lasting effect here and, hence, no lasting damage (or even a noticeable one). The problem with Wall Street is at a completely different level. Write about that, instead of non-stories about a fake tweet. But above all, the point of this article is to illustrate the importance of always taking a step back before you act. We don't need 10,000 articles about something that really doesn't matter. We don't need to make people scared of tweeting (as one newspaper wrote, "be careful what you tweet"). We need value, perspective, insight, and experience, and not knee-jerk reactions. And this is not just about news articles. We see the same thing with studies that people make and with the type of content that brands posts online. It's doesn't take a longer to think. It's simple a frame of mind. You need to train your mind so whenever you see something you ask yourself: "What is really going on here?" Whether you are a newspaper or a brand. People are going to love you for it!